Ongoing Constellation Work & Body-Focused Facilitator Training Programs in Santa Barbara, CA. as well as to develop personally and professionally. 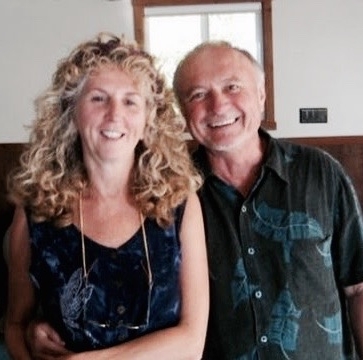 Dyrian & JoAnne trained in constellations work with its founder, Bert Hellinger, and others in the early 1990s. The Learning program we offer is a two-year program that participants register for six months at a time. It is geared towards two types of participants. Firstly, those who want to work on their personal process, while in a conscious and safe community. Secondly, it is for participants who want to learn about Family Constellation work, from a somatic/body-focused perspective. CEUs are available for our Monthly Groups: LMFTs, LCSWs, LPCCs, LEPs & RNs, Provided by the Family Therapy Institute. Learn more. There is a dual emphasis on both the participant's personal healing process, as well as their understanding of constellation theory and how the work can be integrated into various professions. Former trainees have included physicians, educators, performing artists, as well as a broad spectrum of consultants, therapists, and helping professionals. Our format is designed to enable students to absorb the essential tenets of the work and to practice integrating the tools into their own professional and/or personal practices. The process is experiential and offered in a gentle, safe and supportive environment. The Learning Program generally meets once a month for a 2-day weekend. The full training lasts two years and is broken down into four, 6-month segments (though recommended, it is not necessary to take back-to-back segments in order to complete the program). A certificate of completion is given at the end of each 6-month segment and at the end of the full training. We welcome participants, especially those with an established background in a form of healing work, to "drop in" on the Learning Program for a weekend without committing to an entire 6-month segment. However, we do limit the number of participants per weekend, depending on what phase the ongoing Learning Program is in. Priority is given to ongoing participants with a commitment to full 6-month segments. The weekend themes are centered around the needs of the Learning Program participants. Special attention is given to tracking the thread of the Learning Program participants' personal work and professional/technical development. Students are encouraged to form smaller learning groups that meet between sessions to begin practicing constellations, as well as to share insights. This training enhanced my work far beyond my expectations. It was deeply transformational and full of heart. Lectures, constellations, group practices and reflections, as well as experiential learning will be the primary modes of learning in this program. Each participant's personal work, is highly educational for the entire system/group. The unique style and composition of each learning group will significantly influence and change the way in which the material and the experiential practices, as highlighted below, are presented and explored. Construction of a family abode. The practice of cultivating presence. Exploring your own personal issues. Learning to tap into the "informing field." Video demonstrations of Bert Hellinger’s work. Practicing the facilitator role in a supportive setting. Being a representative in the constellations of others. Practicing being an observing member & holding the field. Learning circles, collaborative group learning, writing projects, and small group exercises. The specific content of each program is determined by the interest, skill, and practice experience of the group. Who belongs to the family system. Turning towards or away from life. Relational Constellations – the basic orders and concepts. Exploring Bert Hellinger's unique phenomenological approach. Recognize the Orders Of Love operating with parent-child, couple, and family. Honoring our roots of time and place: including races, peoples, nations, and cultures. Exploring what it is that works in constellations. Practical facilitator attunement and presence skills. How to integrate constellation work into individual sessions. The effective sequence of steps in setting up a constellation. How to interview, collect information & proceed with the constellation. Work with concealed constellation, organizational, colored fields, & more. The many applications of constellations for individuals, couples, groups & organizations. Recognizing and dealing with opposing inner forces. The significance of the living and the dead family members. Receiving support and strength through the relationship to our ancestors. Lessons from Relational Constellations for your own life and relationships. The function of conscience in regard to guilt & innocence in family & relationships. Recognizing the influence of lost or forgotten family members and of family secrets. Integrating constellation work into your professional and personal life. Revealing and resolving intergenerational system dynamics and entanglements. The use of actual facts, incidents & events, e.g., stillborn children, illness, early deaths, adoptions, etc. as a basis for intervention. Explore the power of consenting to one’s fate. Finding the movements of the soul toward resolution. Words of power: sentences of resolution and strength. Recognize the interplay of constellations, presence and guidance. Learn to reveal system dynamics of entanglements, substituted persons and missing members. Support what provides the individual and family system with deep inner strength and avoid what weakens. Learn to work with your own personal issues. Recognize when constellations are least and most indicated. Learn how to look for solutions and when to finish a constellation. Know how to transfer the constellation learning to work applications and to life. Understand the connection of family therapy and Relational Constellations. Become skilled at bringing presence to issues, to questions of life & death, and our relationship with all living beings. We reserve the right to monitor who is appropriate for the kind of learning that we offer and we reserve the right to decline participation to any applicant at any point during the learning/training programs. To register for the Learning Program, fill out this form and we'll be in touch with you. Background with this work or other healing modality, intention, etc. Thanks! We'll be in touch with you shortly. $2,400 for each 6-month segment. If paid 1-month in advance, the fee is $2,300. Weekend dates are generally the first or second weekend of each month. Please register at least one month in advance of the workshop you'd like to take. Email or call 805.563.0558 with any payment questions. The facilitators for the Learning Program are Dr. Dyrian Benz and JoAnne Chartrand. Both trained directly with Bert Hellinger and are among the most senior teachers and facilitators of Constellation Work in the United States. Dyrian is an educator and trainer with decades of experience. He has taught Constellation Work on the graduate level at Antioch University and at the Santa Barbara Graduate Institute. JoAnne is a European Trained Practitioner. She has been in private practice since 1981. Her specialty is in Somatically-Based Transpersonal Psychology, Trauma, and Relational Constellations. Diamond Heart Approach, and Internal Family Systems.